Leslie Brooks pulls up in front of the U.S. Army’s “Victory Book Campaign” dropoff spot on the Columbia Pictures lot. 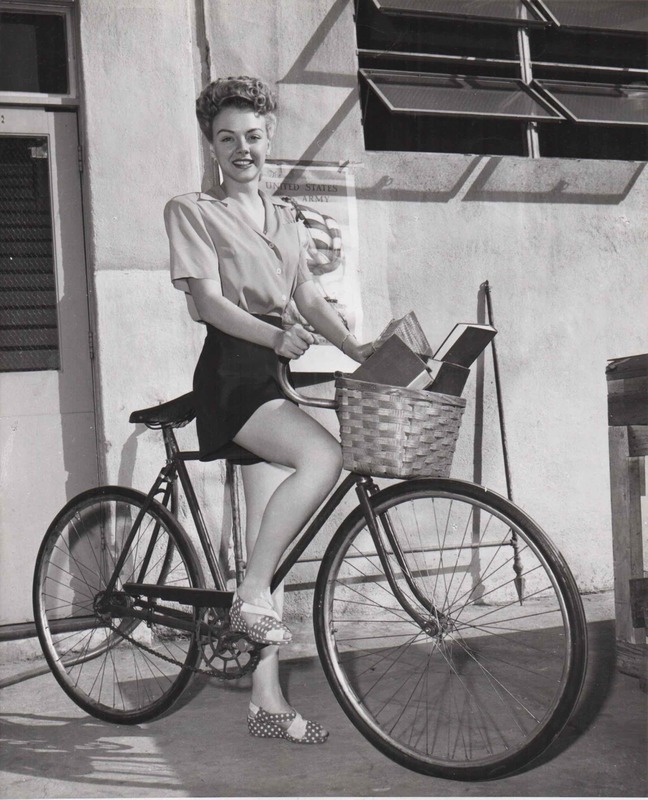 It’s 1943, and, says the snipe on the back of the photo, “MOVIE people give books for service men.” Brooks starred in the studio’s City Without Men and Two Senoritas from Chicago that year. Photo: St. Hilaire.